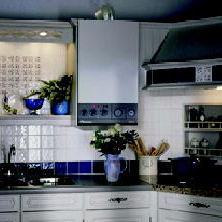 Hampshire boiler installation specialists, RoJo are based in Farnborough and provide a wide range of services for your home and central heating systems. 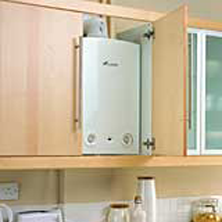 If you want to replace your existing boiler or install a completely new central heating system, there are many types of gas boilers to consider - back boilers, free standing or wall mounted boilers, combination or condensing boilers. RoJo can guide you through the maze of options and help you decide which type and size of boiler suits your home, hot water & heating requirements and your budget, whilst meeting the new energy efficiency laws. The UK Government reviewed Part L of the Building Regulations for England and Wales, in order to make buildings more energy efficient and tackle climate change. The changes took effect from April 2006, and will mean homes will need to be better insulated and use more efficient heating systems. 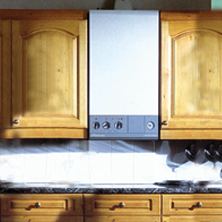 The regulations raised the minimum performance requirements for newly installed central heating boilers to 'A' or 'B' rating only. This needs to be taken into consideration when installing any new boiler. To reduce the risk of carbon monoxide poisoning from faulty boilers, RoJo also carry out annual boiler services from as little as £45 + VAT. 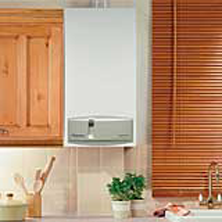 If you wish to discuss the installation or service of a gas boiler, contact RoJo today.